As I mentioned in Part 1, cancer is not one disease, but thousands, and these thousands of different diseases evolve as time goes on. Current treatments have improved greatly over the years, meaning people with cancer are living longer than ever before. New ways of treating cancer, however, will be needed to ultimately cure it. Current research suggests that there will likely be three stages to the future of treatment: (1) discovering more vulnerabilities to target, (2) quickly mapping the genetic profile of individual tumors, and (3) developing drugs that will not only combat a tumor, but keep it from relapsing. Identifying more targets to weaken cancer is accomplished via expanding research and looking at cancers in different ways—one example is looking at cancer as an ecological system, as I outlined in Part 4. If more of these vulnerabilities can be found, there is a better chance of curing a specific cancer. To learn more about the Penn State Hershey Institute for Personalized Medicine, click here. 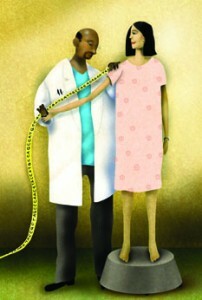 Personalized medicine is another step to the future of treatment. It involves tailoring a treatment plan specifically to one patient, rather than using a broad treatment plan for anyone with breast cancer. In the future, a patient will enter a doctor’s office where a biopsy will be taken; the DNA from that tumor will be extracted and sequenced immediately. Once the DNA is taken from the tumor and compared to the patient’s normal DNA, the mutations can be found and vulnerabilities identified. Presently, it is likely only a few select “candidate” mutations are searched for, meaning many vulnerabilities are missed. For a full sequence to be practical, we will need the technology to sequence full genomes quickly and in a cost sensitive manner, the expertise to analyze it, and the capacity to intimately integrate healthcare with scientific research. It is a tall order, but many centers around the country, including our own Penn State Hershey Institute for Personalized Medicine, are currently working towards that goal. 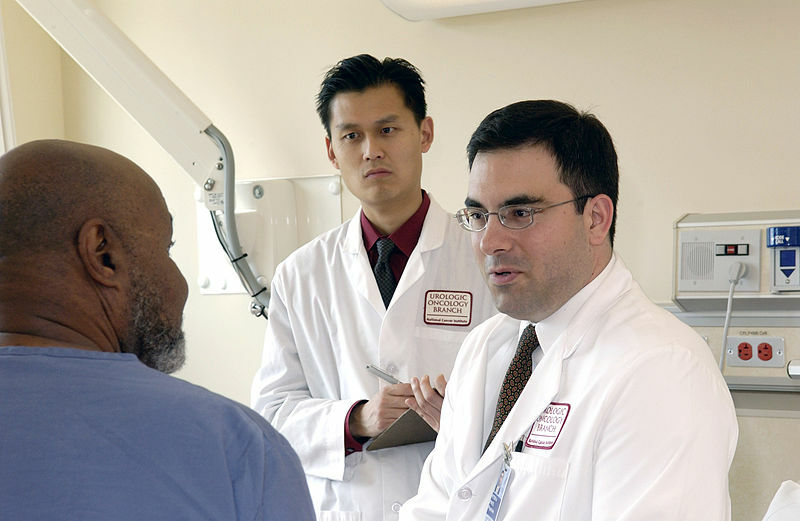 After the patient’s genome is compared to the tumor’s genome and mutations are identified, the patient will sit with his or her doctor and devise a comprehensive treatment strategy. Treatment plans for cancer patients are already commonplace, but with new technology and more vulnerabilities, more options will be available. There will be a cocktail of drugs available that target many aspects of a tumor, including but not limited to: its ability to evade the immune system, its ability to access a blood supply, and the individual cell’s ability to divide unchecked. The last step is actual treatment. This is an area where it is likely the most change from current practices will occur. Current targeted therapy, which uses small molecule drugs to target a mutated protein that is causing a tumor to form, has been remarkable in its ability to treat cancer (see Part 2). However, the main problem with targeted therapy is the fact that cancer often relapses because the tumor can evolve (see Part 3). Small molecule drugs hinder a protein’s ability to function by attaching to it and distorting its specific shape; the protein then stops working. This is the essence of targeted therapy—the protein that is mutated and functioning uncontrolled is effectively shut off by the drug. The problem is that the protein is encoded by DNA, and as the cells divide, new mutations accumulate in the DNA and soon the protein has changed slightly, meaning the small molecule no longer works. Then, the process of discovering a new small molecule that targets the slightly different protein has to begin, which mostly involves a trial-and-error search, and meanwhile the tumor can evolve again, making the process futile. It’s a never-ending cycle, and the cancer has the upper hand. But what if we could claim the upper hand? Scientists are working on several new possibilities— from changing dosing schedules to science fiction-like nanotechnology. There are many new and promising possibilities, but I will outline one that is exciting: a new class of drugs, which are still in the early phases, are RNA-targeting drugs. DNA encodes for protein through an intermediary, RNA, which has a specific sequence. RNA is special because the degradation of RNA can actually be accomplished by adding more RNA to a cell—specifically, a special strand with a complementary sequence that pairs with the broken RNA. Once paired, the new sequence directs the degradation of the broken RNA, meaning the broken protein is never even made. This cuts off the cancer from its growth signal. What’s different about these drugs is they can actually be synthesized, rather than discovered. 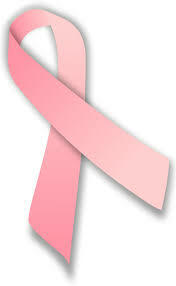 This gives us the upper hand over cancer because we can always be one step ahead. 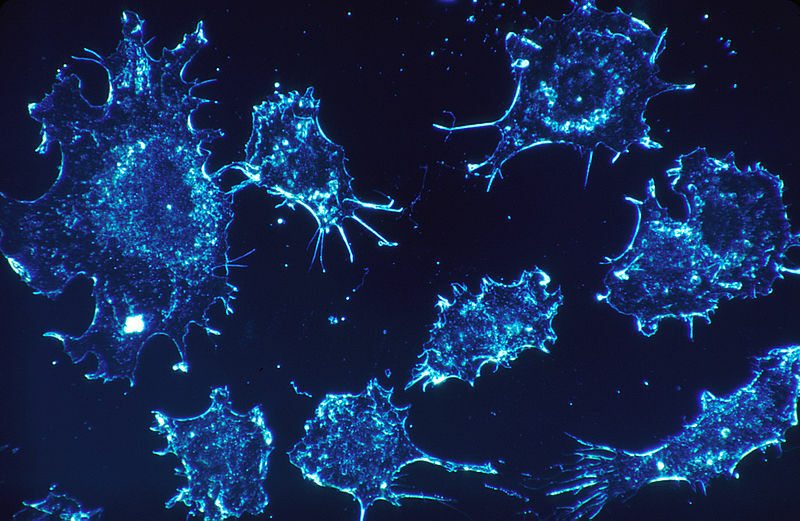 A cancer may mutate and develop resistance, but it still makes RNA. We can alter our RNA drug by altering its sequence accordingly. The cancer may keep mutating, but we can stay ahead by mutating the drug as well. This model could actually keep a cancer regressed forever. What’s more, these drugs, because they are so specific, would have virtually no side effects. We still have quite a way to go before these drugs become available due to the fact that delivering them to the correct site and in sufficient quantities is very difficult because the drugs are very unstable (meaning they degrade before reaching the tumors), but scientists are working very hard to solve these problems. As a scientists who studies genetics and cancer biology, I’m hopeful about the future of cancer treatment. If we are able to find more vulnerabilities, quickly and easily identify these vulnerabilities on a case by case basis, and develop a new class of drugs that can be altered to prevent relapse, we can turn what would have been a powerful, deadly cancer into a disease that can be controlled for decades with few side effects. 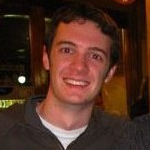 Ross Keller (Editor) is a 4th year PhD candidate in the Biomedical Sciences Graduate Program. He works with Dr. Edward Gunther in the Gittlen Cancer Foundation where he studies how genetic mechanisms contribute to the development and progression of breast cancer. Ross enjoys writing, reading, swimming, and traveling.